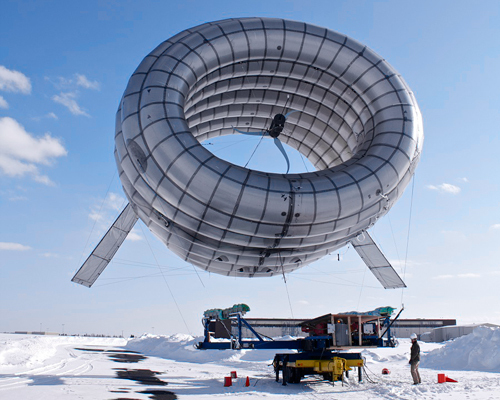 the BAT uses a helium-filled, inflatable shell to lift it to high altitudes, where winds are stronger and more consistent than those reached by traditional tower-mounted turbines. 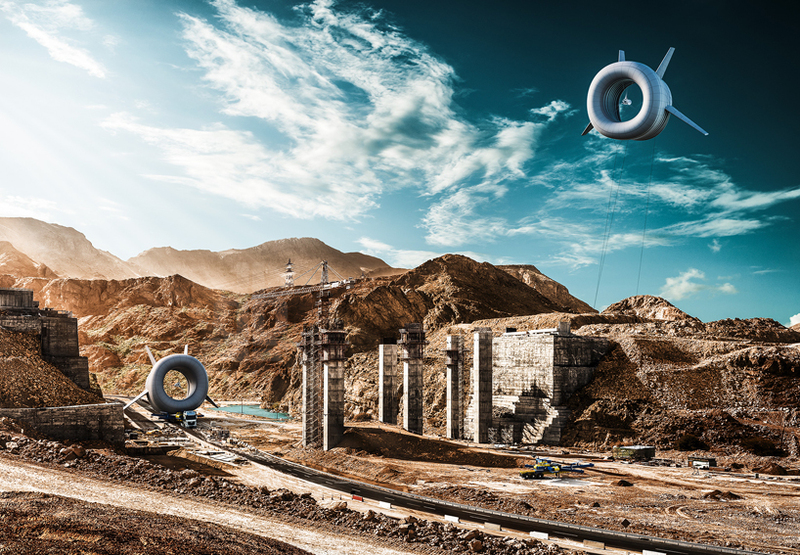 high strength tethers hold the turbine steady and send electricity down to the ground. the lifting technology is adapted from aerostats, industrial cousins of blimps, which have lifted heavy communications equipment into the air for decades. 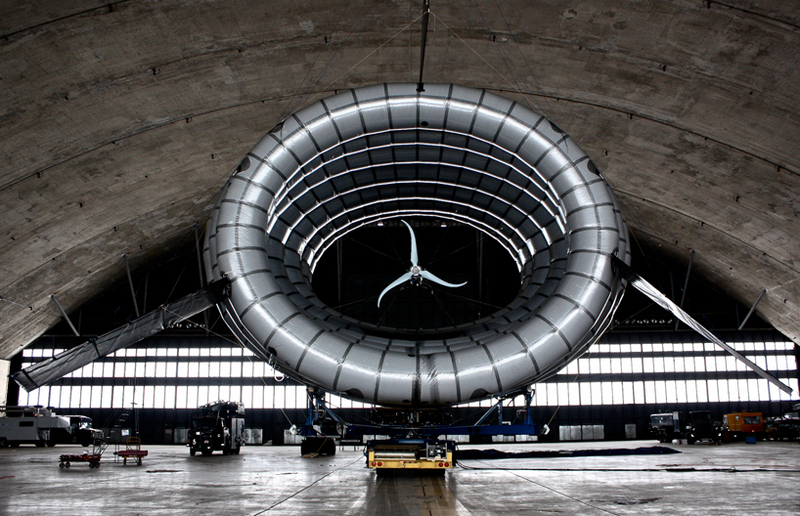 aerostats are rated to survive hurricane-level winds and have safety features that ensure a slow descent to the ground. 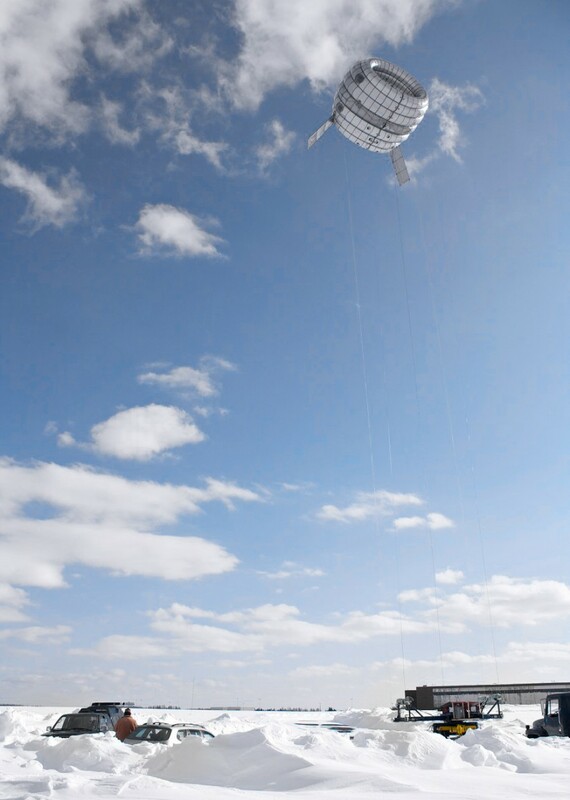 in 2013, altaeros successfully tested a BAT prototype in 45 mph winds and at a height of 500 feet. What is the power available from the tested turbine? What is the total mass of the cable running to ground? Presumably the per meter mass limit the design height of the BAT – to what height?